In this review we have another gem from TomTom, the TomTom GO 5100 is the new and updated version of last year’s GO 5000. Unlike the latter this device comes with lifetime speed camera updates and traffic updates free of charge, as well as free worldwide maps. I was saying to myself they have finally done it! Free worldwide maps! No need for confusing country-specific sat navs. This piece of beauty can work around the world with no problems at all. Another addition to the device is a free unlimited data with the included sim card. No more pairing with your laptop or PC and no more pairing with your smartphone to get essential data such as weather, traffic, speed camera alerts. And let me tell you this, the traffic information has saved my life on several occasions! For instance, one time it took me with roads I’ve never heard of before and when I got to work I found out there had been a major accident on my usual route. It goes without saying that TomTom Go 5100 might have saved me from an embarrassment in front of my boss. The Go 5100 is excellent at navigation you to your destination point, with Voice controls you don’t even need to type anything, just say where you wish to go. The only bad bit I have found is the boot-up speed (mine takes about 40 seconds), but once it’s on it has no lags or whatsoever. Another great feature of this device is the Tap & Go function, where you can simply browse the map and pin point your destination. This is great if you want to go somewhere local or don’t know the exact address. Also it had no trouble finding my newly built housing estate, some other sat navs would give you a huge headache about it. 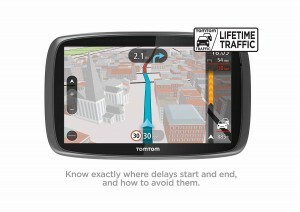 WHY YOU SHOULD BUY TOMTOM GO 5100? 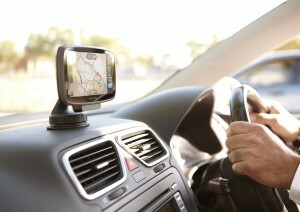 There are many alternatives in the market, such as Garmin’s 2599LMT. It’s a great device but it lacks mobile data and maps for the whole world. Just comment below if you think I am wrong when I say this is just the perfect device! Oh and if you think 5 inches aren’t enough for you, TomTom has already thought of that – TomTom 6100 is the exact same model but with a larger screen. So as you can see – it is perfect (read it with Jeremy Clarkson’s voice). WHAT OTHER PEOPLE SAY ABOUT THIS PRODUCT? There are mostly positive reviews on sites like Reevo and Amazon, and by positive I mean 5 stars. 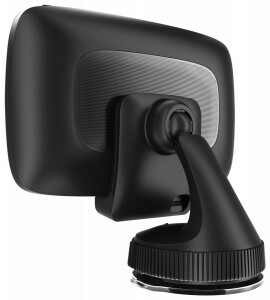 People who have bought this device are very happy with the service TomTom provides and almost every reviewer mentions the free traffic and speed camera updates for life. I have fallen in love with TomTom go series when I started used TomTom Go 6000 and this conclusion maybe a little unbiased as I’m a fan of TomTom but here it goes. 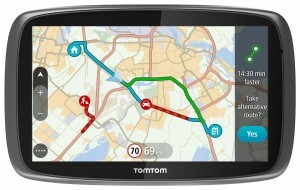 I personally think of TomTom Go 5100 as a serious contestant for the best sat nav. The interface is smooth and minimalistic, very easy to understand and operate, the design is flawless it has no parts that would wear off or scratch easily. I hope you like this review of the Go 5100 and if you did, please share it on your social pages.